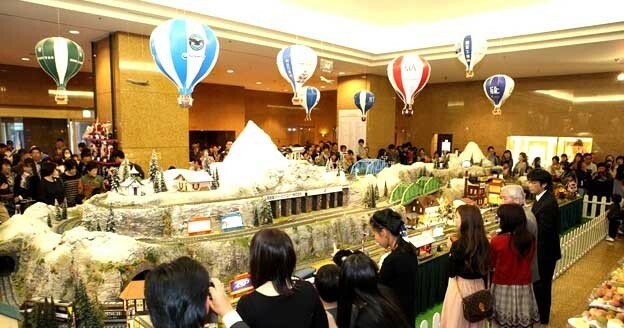 Each year, in mid-November, the Hilton Nagoya kicks off the festive season with the opening of its Christmas Train event. The opening ceremony includes the unveiling of the year’s Christmas tree and, more importantly, the awarding of gifts to various children’s charities in the Chubu Region. The event also features seasonal music performances and sweets (get there early!). All in all, a great family event you won’t want to miss. Funds are raised for charity through the sale of balloons to corporate sponsors of the event. Cezars International K.K. has been participating as a sponsor for several years. Below is a letter of appreciation from the General manager of Hilton Nagoya. Cezars International K.K. looks forward to helping children’s charities through the Christmas Train (and other programs) for years to come.